Navigation: Home » Cancer Advocacy » What Is Advocacy? 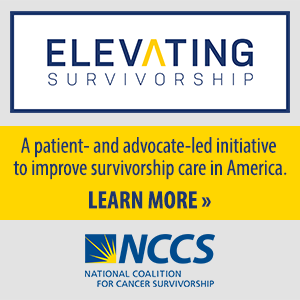 In cancer survivorship, advocacy is a continuum. It may begin at the personal level, but along the survivorship journey, self-advocacy efforts may broaden to include first group or organization advocacy, and later may move to public advocacy efforts. Self-advocacy is a way of taking charge in an overwhelming environment of tests, treatment, and doctors’ offices. From arming oneself with good information, to seeking second opinions, to locating resources for support, to knowing how to ask the right questions — people with cancer can become self-advocates. Personal empowerment can mean the difference between maintaining hope and enhancing quality of life or feeling helpless and uncertain. Many find the years after a cancer diagnosis to be challenging. It is during this time that cancer survivors realize that their lives will never be the same. Family and friends cannot understand why survivors are not happy simply to be alive, and support systems that were in place during the treatment may diminish or disappear. It is at this point that many survivors seek out other survivors with the same experiences. This life transformation, at any age, calls for another type of self-advocacy. With the underlying idea that they “want to give something back,” in gratitude for their survival, many survivors seek ways to share their experience with others. This shared knowledge, the idea that information is powerful — the veteran helping the rookie — is what the survivorship movement is largely about. The passsing of wisdom from a more seasoned survivor to the newcomer provides a strong foundation for people who have had cancer to play a more proactive role in making decisions about their lives. Having been successful in exchanging information with others who share a cancer experience, survivors can extend their advocacy efforts to the larger community. Through networking with other people, survivors can learn more about specific issues (e.g., sexuality, infertility, work, insurance, or reimbursement). Armed once again with valuable information, cancer survivors can go on to tell others their shared experiences and advocate for changes that can have a broad impact. 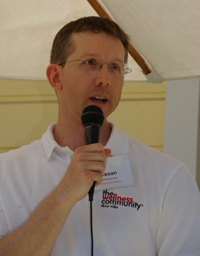 One of the easiest and most satisfying ways to advocate for others is to speak at the local community level — to church and civic groups, to medical students and physicians, oncology nurses, social workers, and others — to educate them about the complex issues that dominate survivors’ lives after a diagnosis of cancer. This public speaking becomes a testimony that affirms one’s survival, defies the myths and stigmas about cancer, and perhaps reaches others who are silently struggling with similar issues. The exponential growth of the survivorship movement increasingly is realized by the many long-term survivors who go on to become professional survivor advocates. 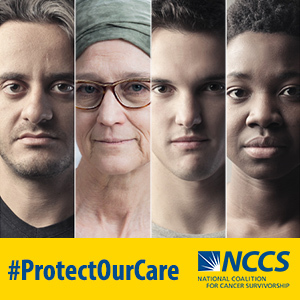 These individuals have taken their learned experiences from diagnosis, through treatment and recovery, and become advocates participating in the national cancer survivorship movement. 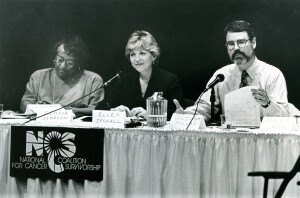 These people have effected change in public policy including appropriations for cancer research; pressed for more survivorship research; given public witness testimony at both the local and federal levels of government; and contributed to the body of knowledge about living a better quality of life after a diagnosis of cancer, either through professional journals, or the popular press. By telling “one’s story,” the net is cast much wider. Advocacy training for media relations is a burgeoning field of interest among consumer groups today and provides yet another avenue for survivors to “testify” about their experiences. As people with a history of cancer recount their stories in the community and to the media, they become recognized experts on the compelling issues that have impacted their lives and the lives of the community of survivors with whom they have become involved. Depending on one’s vocation, avocation, or other life circumstances, the interest one takes in sharing this experience is limited only by the desire to speak up — whether it is survivor-to-survivor in support groups, in the workplace, before state legislators, or to Congress. Advocacy is an invaluable skill set that can empower persons with cancer and can maximize the quality or their own survival as well as that of others.